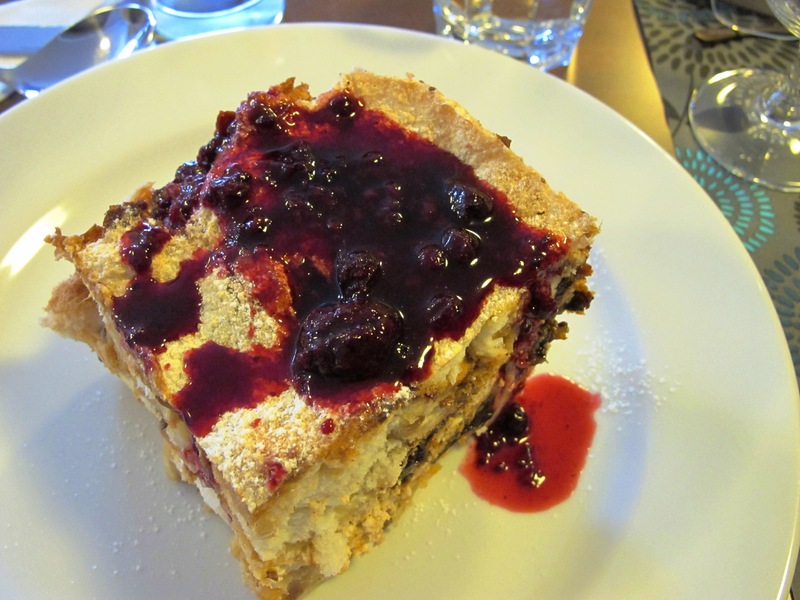 One recent day in Dolny Kubin we were pleasantly surprised to be treated to cake for lunch, apparently a common dish for a midday meal in Slovakia. Žemlovka is the Slovak version of french toast, baked into a cake. It’s not too sweet and can be assembled and baked well ahead of serving time. You can serve it hot right out of the oven or cold the next day. The cake can be filled with a variety of fruits such as apple, blueberries or plums. My kids would love it with chocolate instead of fruit, drizzled with warm maple syrup on Christmas morning. To serve, sprinkle the cake with sifted powdered vanilla flavored sugar and drizzle each piece with about 2 tbsp heated berry jam. I just visited this blog for a first time and i am very impress! Love the history, pictures and recipes! Great Job. As a Slovak living in USA, I will come to this site more often and recommend to my friends! Thank you for such a great blog. Zemlovka recipe is what I remember from back home.